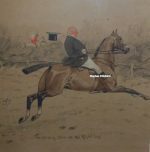 The original William Fergie watercolour pictures for sale below, represent a small selection of works available. 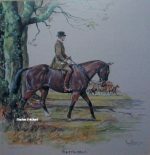 If there is anything by William Fergie that you’re looking for then please contact us on 07889 800857. William Fergie was born at Berwick upon Tweed in 1893. He became a self taught artist, painting primarily as a hobby and in his spare time contributing illustrations to a local magazines. His work as a landscape, dockyard and river painter becoming so well known that on his retirement from the Tyneside shipyard he became a professional artist. He exhibited his work at The Artists of the Northern Counties Exhibitions in Newcastle and Northumberland district. He also wrote many articles for Northern Newspapers and magazine Illustrated with his own artworks which show meticulous detail to places, many of which have been lost to History forever. Fergie works rarely come onto the market these days. Wiliam Fergie died in 1971.